Marina’s kidnappers abandoned her deep in a remote Colombian jungle. Surrounded by terrifying noises and trapped by its sheer suffocating denseness, half-drugged and starving, Marina tried to find her way home. She searched for food and water along the way, competing with big cats, poisonous spiders, giant pythons, extraordinary insects and huge bats. Two days later, she was confronted by about twenty curious capuchin monkeys. By following them and copying what they ate and drank, their social activities, their language, Marina gradually became part of the family for five extraordinary years. They fought, played and shared tender and terrifying experiences. 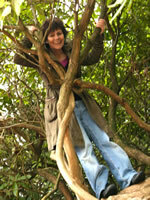 Marina developed extraordinary super-human abilities such as tree-climbing, stealth and animal communication. Discovered by a pair of hunters, she was sold into slavery in exchange for a parrot. She escaped from her abusive captors after a year and fled to the concrete jungle of Cucuta, Colombia’s most lawless city, where she lived on the streets, picking pockets to survive, eventually leading her own gang of thieves. This was only the start of Marina’s breathtaking story, a story that doesn’t let up for a single moment. From being forced to work in a brothel in Colombia’s most dangerous town to cooking the Duke of Kent the ‘best quiche I’ve ever had’, from encountering pythons, crocodiles and big cats in the wilds of Colombia to surviving car crashes and bombs on the streets of Cucuta to scrambling up the trees of Bradford, England, from facing three seemingly insurmountable tragedies to finally finding love in the UK, Marina’s inspirational and astonishing story is truly unforgettable.
" Marina Chapman may live a quiet life now, but the story of her childhood is more akin to a wild fairytale." " The extraordinary story of the woman who was kidnapped as a child, left to fend for herself in the forest. It is an inspiring life-story, but one that Mrs Chapman has long been reluctant to share. She is now, however, going public with her memoir. " "...as much a memoir about the importance of classification and belonging as it is about the endurance of the human spirit, will be enjoyed by those looking for a story of perseverance through even the greatest obstacles life brings." "Torn from her family at the tender age of four and abandoned in the Colombian jungle, Chapman must fight to survive. This remarkable memoir, coauthored by Barrett-Lee, is based on years of Chapman’s conversations about her brutal childhood with her daughter. Her first few, horrifying days in the jungle are presented in vivid detail, as is the troop of capuchin monkeys with which she found refuge and a sense of community over the years. When she casts her lot with hunters who sell her into slavery, her unfamiliarity with basic human concepts is heartbreaking in its entirety. Fortunately, her monkey upbringing has surprising intersections with the talents of a street kid. A well-paced, cliffhanger approach to telling the story makes for a riveting narrative. Chapman’s struggles, no matter how outrageous, are made relatable through the deft descriptions of her thoughts and feelings. A constant theme throughout is her strong desire to be someone. Thrilling, upsetting, and powerful, this memoir is a coming-of-age tale like no other." "MARINA’S book proves the adage that fact is often stranger than fiction...This is a captivating story that will keep you enthralled." "This is an amazing story and an intriguing memoir, ghost written it would seem, with a fair dose of poetic licence, because there is novel-like, fine detail outlined in the jungle episode which is unlikely to have been recalled decades later.... a bizarre and readable tale of the human spirit surviving all that is thrown at it." "THIS is one of those bizarre books that seems too ludicrous to be true. But truth can be stranger than fiction.... You'll churn through this one at breakneck speed." "This is a story of survival in circumstances of extreme poverty and unrelenting danger. It is a story that bludgeons us into reassessing who is human and who is animal.... But this true story, The Girl With No Name, stands as a record of triumph over trouble, of virtue over viciousness, of faith in that instinct that human beings develop when living continually with danger. It is a story of courage that deserves documentation and publication. It draws attention, as no other book that I know of, to the plight of street children everywhere and to the dangers that wild animals face from human predators.... One aspect that I have not mentioned to this point is the tale-telling style of the writer. The story is well researched and its telling is clear and uncluttered. The imagery is such that we see the monkeys in their private world, and the street children going about their business.... The final stage to the story was then placed in the hands of a ghost writer who, intelligently and skilfully, compiled the present record. Her skills in bringing a remarkable book to life demand applause." "Chapman’s story is incredible, moving and heart warming. That a young girl could survive so many dangers and not have her spirit broken is miraculous." " Marina Chapman's intriguing account of living (not raised, as the title asserts) among capuchin monkeys in the Colombian jungle and her subsequent sale to a brothel owner makes absorbing reading." 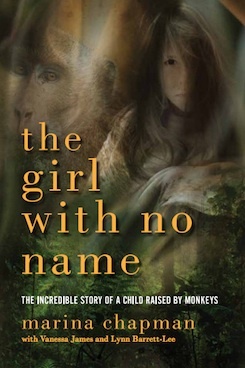 Hungarian rights for Marina Chapman’s The Girl With No Name: The Incredible True Story of the Girl Raised by Monkeys . Hungarian rights for Jeremy Dronfield’s The Boy Who Followed His Father into Auschwitz. 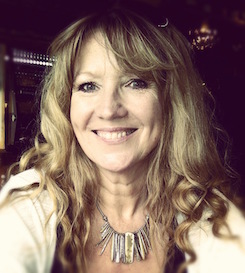 Dutch rights for Cathy Glass’s Where Has Mummy Gone? Turkish rights for Daniel Tammet’s Every Word is a Bird We Teach to Sing . Congratulations to Marina Chapman and Lynne Barrett-Lee whose The Girl with No Name is #3 on the Wall Street Journal Nonfiction ebooks list.